SEO is a complicated topic, right? It’s true that SEO is difficult but it’s not rocket science. It doesn’t matter what industry you are in, you can learn few SEO tips and tricks which you can implement on your blog to improve your search rankings. If you’re looking for SEO tips ranging from beginners to experts, you’re in the right place. Let’s get started! If you’re a complete newbie to SEO, the following beginner SEO tips and tricks are exclusively mentioned for you. It doesn’t matter what industry you are in, if you want to get more search traffic, you need to do keyword research. Finding and using keywords that your audience are typing on Google is the easiest way to attract visitors from search. But here’s the thing: don’t find keywords with high competition as you will struggle to get into top 10 search results. Find low competitive keywords. In other words, focus on finding long tail keywords with less monthly searches (go for 500 or below monthly searches if you’ve a new site with less Domain Authority). You can go through this post on how to find keywords with SEMrush to easily find low competitive yet highly profitable keywords. Once you have a list of keywords to target, you need to start using them within your blog posts. Proper keyword usage within blog posts or pages is known as on page optimization. On page optimization helps you get better rankings in search and gives you improved visibility in organic search results. Here are few prominent places where you can include your primary keywords to get better rankings. Use Yoast SEO plugin if you want to better optimize your blog posts and pages for your target keywords easily. It’s not only the most downloaded SEO plugin but it is also available in free version which is more than enough for beginners. It also integrates with Google Search Console where you can see how your site performs in the search engines and fix crawl errors. Google gives top priority to the web pages which have quality links. The more quality links you attract to your individual pages the faster they get into top 3 pages. It’s as simple as that. We’ve also talked about some of the best off page SEO techniques where you can discover few top ways to build backlinks to your site. How do you know whether your target keywords are performing well in Google search or not? By tracking your keyword positions. Most people look for ways to get more search traffic but they don’t track their keywords performance. How can you expect to grow your organic traffic without analysing your keyword rankings in the first place? You can use tools like SEMrush to easily track your keyword rankings. While keyword tracking, your primary goal should be to get into top 100 search results. Then, target the first page (getting into first 10 search results). Once your keywords start showing up in the first page, you can optimize your contents, build more backlinks, attract more social shares etc improve their rankings further. If you want faster results with SEO, then you need to get access to the right tools. Here’s a list of some of the best SEO tools shared by SEO experts. Over the past 3 years, we’re using one SEO tool which is SEMrush mostly for doing every SEO related task from keyword research to backlink analysis. If you’re looking for an all in one SEO toolkit, we highly recommend you to give a try to SEMrush. Here are few features you can grab from SEMrush. Track of your keyword rankings on Google, Bing & Yahoo. Every now and then make sure to keep an eye on your broken links as they are harmful for both user and search experience. You can use plugins like Broken Link Checker as it monitors links in your posts, pages, comments and notifies you if it finds any broken links. That means, it easily detects links that don’t work, missing images and redirects and not notifies you either from your WordPress Dashboard or by email. Whether you know it or not, your website speed is a ranking factor. There are over 200 factors that Google takes into consideration to rank a web page in Google search and site speed is one of them. Here are few quick tips to improve your site speed. Google started considering https (secured version of http) as a ranking factor. So if you want to improve your content rankings and still using http version, make sure to move to https as soon as possible. In simple terms, Hypertext Transfer Protocol Secure (HTTPS) is the secure version of HTTP where the data is sent between your browser and the website that you are connected to. You can use web hosting sites like WPX hosting, Bluehost etc where they are providing free SSL certificates which help you easily make your site go from http to https. Alternatively, you can use Cloudflare which offers SSL protection free of charge. Schema markup which can be found at Schema.org is a form of microdata. 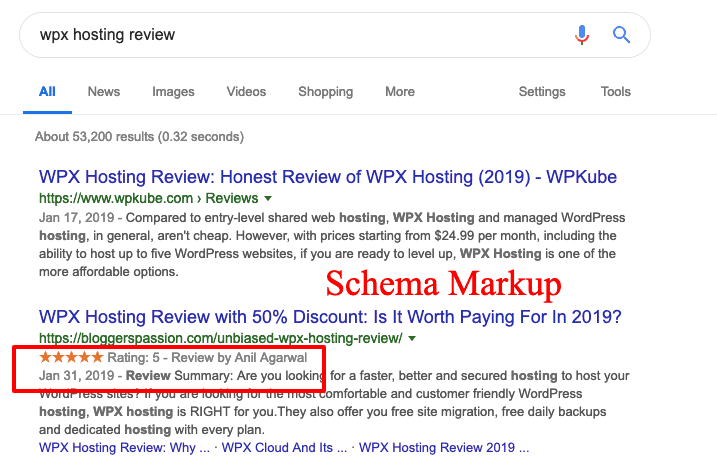 Once Schema markup is added to a page, it creates a description which is also popularly known as rich snippet which appears in search results. If you’re running a website, niche site or an eCommerce store, you must include Schema markup because it helps you get more clicks from search results. Here’s how a rich snippet looks like after enabling schema markup for product reviews. Quick tip: You can use plugins like Author hReview to easily get rich snippets for your product reviews and it’s also free to use. If there’s only one skill you can learn and improve as a blogger, it is SEO. SEO is constantly changing. What worked today may not work tomorrow and what worked an year ago, won’t work now. That’s the beauty of SEO. That’s also the reason why you should learn and update yourself about SEO regularly. If you are getting started, here are few blogs you must read to update yourself about SEO. Here’s a list of some of the best SEO blogs to read if you want to learn and master the art of SEO. If you’re doing SEO for a while, you might find the following SEO tips and tricks really useful to get better results in 2019. As bloggers, we create a ton of blog posts and pages. Over the time, most of the contents don’t add any value either to search engines or your target audience. Instead of keeping a ton of blog posts which are mostly useless, you should just get rid of them. That’s what we do here at Bloggers Passion as we reduced our total number of blog posts from 900 to around 350. We’re now showing up approximately 400 posts in Google search results. You should also do the same if you’ve too many blog posts and keep only those posts which are highly useful. Latent semantic indexing keywords (or LSI keywords) are simply known as related keywords or synonyms. One of the easiest ways to find LSI keywords is to use Google auto suggestion tool. For example, when you type for “best fitness tips” on Google, it will also show you synonyms for the same keywords at the end of the results. Here’s an excellent resource on LSI keywords where you can find A to Z information about how to find them along with the incredible tools. Most people still don’t know what Google really wants. Whether you know it or not, the primary goal for Google is to understand context and serve results based on searcher intent. To put it simply, search intent is the reason behind a searcher’s query on search engines like Google and it represents the primary reason the searcher is trying to accomplish. Searcher intent is the KEY here. If you focus on creating contents by satisfying your target audience intent, your rankings will go up. If not, you’ll struggle a lot to keep your rankings. It’s as simple as that. What’s the point of creating blog posts day in and day out without looking at your competitors performance? You must know who your competitors are along with their strengths and weaknesses. By analysing the above things, you’ll get a better idea of what kind of topics go viral and attract links in your industry. That way you can create your future posts in the similar lines by making your content even more appealing, informative and unique. You can also compare both Spyfu and SEMrush as both are excellent tools to analyse your competitors. Google is more inclined towards mobile-first indexing which simply means Google will predominantly use the mobile version of the content for indexing and ranking. Make your site adaptive to any device (be it desktop, mobile or tablet). The best way to make your site mobile responsive is to use a theme which is already mobile friendly. Or hire someone to create a unique mobile optimized version of your site. If you’re just starting out, you can also use plugins like WPTouch to make your site mobile responsive. 404 pages are the most annoying pages to look at. A 404 page is what someone sees when they try to reach a non-existent page on your site. It maybe because they’ve clicked on a broken link or the page has been deleted or they might have typed the wrong URL address. Don’t forget to create a custom 404 page and make sure to include useful information on it. Why should you create custom 404 pages instead of showing the basic messages like “the page doesn’t exist”? You don’t want to lose a visitor to your site by having a default browser error come up, right? And you should also get creative with your 404 pages where you can include helpful links, site search functionality, contact options, email optin forms etc to make them useful for your users. Have you ever seen our FAQ sections? Here’s how they look from one of our blog posts on starting a new blog from scratch. Do you know why we create a FAQ section for most of our important posts? There are two primary reasons: one is SEO and the other is for users. By including a FAQ section, we can actually cover few of the LSI keywords and question based keywords in the section which help us with more content relevancy and traffic (because we’re using multiple LSI keywords). Another important benefit is people love reading FAQs as they can get direct answers for few of the most important questions around the topics. So we also suggest you to create FAQ sections for your future blog posts which are extremely important to your business. Make sure to think like a user before creating FAQ sections so you can come up with the right questions. Also try to include LSI keywords which are relevant to your topic to bring additional search traffic. You must have visited Wikipedia for researching or reading something at least at one point in life, right? 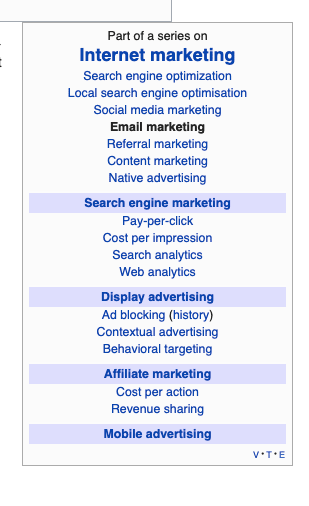 Just notice how Wikipedia organizes the categories within a large page. It’s a structure designed to help people navigate the page and find the information they’re looking for. Search engines like Google appreciate when information is organized in an effective way. This is where the SILO structure comes into play. For example, let’s say you are a law firm that specializes in dowry and crime. You could build a “silo” for each of those practice areas – a “criminal defense silo” and a “personal dowry silo”. This would be achieved by linking all crime related pages up to the top level criminal defense page, and linking all of the personal dowry related pages up to the top level personal dowry page. To put it simply, SILOing is the act of dividing a website’s content into different categories and subcategories — groupings known as SILO. One of the less known SEO tips is to use Google Search Console like a pro. The best way to use it is to update your blog posts and pages frequently and fetch as Google whenever you update something. It lets you manually submit pages to Google’s search index, so you can quickly let Google know about changes to your site. That way search crawlers crawl your site more effectively and you can start seeing changes in your keyword rankings fast. There’s also another feature you’ll see which is “fetch and render”. Fetch and render helps Google to Fetch a specific URL in your site, displays the HTTP response and also renders the page according to a specified platform be it desktop or mobile. You can use this to detect visual differences between how Googlebot sees your page and how a user sees your page. SEO is a skill. You will only get better at it by implementing what you learn. Yes, you can learn from thousands of articles about how SEO works. But nothing helps if you don’t implement what you learn. Even if you’re learning one SEO technique, implement on your blog right away. If it gives you results, you’ll get motivated to learn more and implement more in the long run. If possible, find a mentor who can help you with SEO. Or spend money on finding the RIGHT SEO courses to learn SEO. We’ve written an ultimate SEO tutorial which you can check out to implement few effective SEO strategies. Here are few PROVEN SEO tips that work like a charm for expert bloggers. If you’re into SEO for a while, you might have probably heard the term “pogo sticking”. While pogo sticking may sound like fun but nobody enjoys clicking on 5 different search results before finding what they were looking for. There are times when users click on the first result, then click the back button and visit the second result and then the third – all this without spending time on any of the results. The primary reason for pogo sticking is “your target audience are not satisfied with the result”. For example, if someone’s looking for “link building” and not spending time on the first few search results, it’s called as pogo sticking. Although pogo sticking is not a ranking factor as Google’s John Mueller has revealed that pogo-sticking is not a signal when it comes to ranking search results. But it’s still worth your attention especially if you want to satisfy your target audience. The key to prevent users from Pogo Sticking is to create headlines and meta descriptions which don’t provide false information (when someone actually clicks on your links). Stop using manipulative titles and try to make your content as useful as possible and you’ll be fine! Featured snippets are “selected search results” which are featured on top of Google’s search results (shows up in a box). These are also known as “Position 0” as they rank above #1 search result when they appear. According to Ahrefs, 12.29 percent of search queries have featured snippets in the search results. Only 30.9 percent of featured snippets rank at the very top placement in the organic results. 99.58 percent of the featured snippets are already in the top 10 positions in Google. There are two simple tips to rank for Google featured snippets. You can also check out our in-depth guide on getting Google featured snippets easily. Whether you are aware of it or not, turning non-backlinking pages mentioning your name, website or brand is one of the easiest link building strategies. Let’s say someone mentioned your name or website from a web page without actually giving a link. Here’s where you can get in touch with such non-backlinking URLs to include a link to your blog or website. SEMrush offers an exclusive feature called “Brand Monitoring” which helps you easily track your brand mentions so you can ask for links. This tool will save a ton of time by scanning throughout the web and finding online mentions along with the customer reviews of your website or brand. The good thing is that, all the mentions can be filtered by their source and date, as well as segmented with the help of various tags. Apart from SEMrush, you can also use the following tools to easily track your mentions online to turn them into links. There’s no point of creating content that gets outdated after an year or two. It’s not going to help you in generating leads, links and search traffic in the long run. Make sure to create timeless content which can be useful to your target audience even after 4 to 5 years. That type of content is what earns links and social shares naturally. Before creating such content, make sure to answer these questions. The key here is to make your content as detailed as possible and update your best performing posts as often as possible to get into first page results. You should create “10x content” which outranks your competitors. That means, your content should be 10 times better than your competitor sites in information, visual and so on. It doesn’t matter what kind of website you’re running (be it a niche site, affiliate site or an eCommerce site), if you want to stay safe from all kinds of Google penalties, you should frequently perform site audits. Site audits help you detect all kinds of technical and SEO related issues that your site might have. By fixing these issues, you can easily boost your website rankings in SERP. While performing site audits, you can focus on fixing the following things. Check the robot.txt for errors. If it has any issues, optimize it properly. We use SEMrush Site Audit feature to perform in-depth audits of our blog Bloggers Passion and it really works like a charm as it also gives a health score (out of 100) and shows you errors and warnings that you can fix to improve your site rankings. There are some essential tools and plugins we should be using to improve our website SEO further. We have been using SEMrush for the last three year now and has been our one stop solution for all of SEO problems. Using their rank tracking tool to check our website ranking on Google (Desktop/Mobile) in demographics of our interest. Finding lots of less competitive, profitable and high traffic keywords using keyword magic tool. Checking our own and competitor backlinks. Also using them to get rid of toxic backlinks. Finding highest traffic keywords for competitor websites. This is how we come up with lots of new content ideas as well.